Buy 48 or more for $22.79 each. 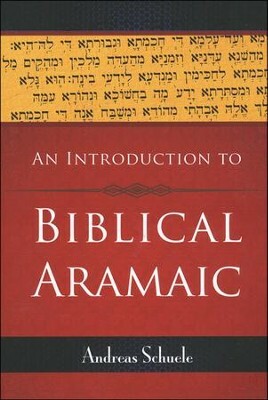 The study of Aramaic, an ancient Semitic language, is necessary for understanding certain biblical texts---especially Daniel and Ezra. Schuele, after years of teaching the language, uses his experience and expertise to introduce the writing system, phonology, morphology, and syntax. Includes example texts for translation and helpful comparison charts. 136 pages, softcover from Westminster John Knox. 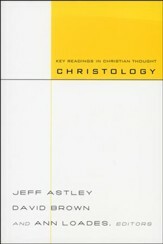 Jeff Astley, David Brown & Ann Loades, eds. 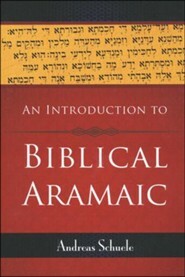 The study of biblical Aramaic, an ancient Semitic language from which the Hebrew alphabet was derived, is necessary for understanding texts written during certain periods of early Jewish and Christian history and is especially important for the study of the books of Daniel and Ezra. 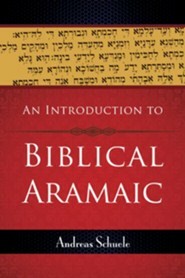 This new textbook is a thorough guide to learning to read and translate biblical Aramaic and includes an introduction to the language, examples of texts for practice translations, and helpful comparison charts. 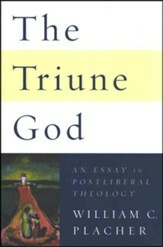 Andreas Schuele is Aubrey Lee Brooks Professor of Biblical Theology at Union Presbyterian Seminary. 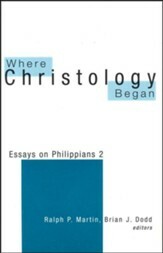 He earned doctoral degrees in both Ancient Near Eastern Studies and Old Testament from the University of Heidelberg. 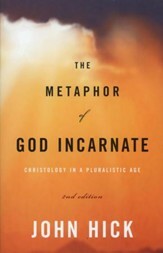 His research focuses on language, literary history, and theology of the Old Testament. Q: Does the book take for granted a knowledge of biblical Hebrew? And secondly, does the book offer a suitable preparation for reading the OT and NT Peshitta (and Targums) or is its focus primarily the Aramaic sections of the Hebrew Bible? Yes, in the comparisons of the language it does take for granted knowledge of Biblical Hebrew, though the author does not presuppose that everyone has had that background. The focus of the Grammar is on the Ezra/Daniel portions. There are some other writings mentioned in the Appendices, but Targums and Peshitta are not dealt with. I'm the author/artist and I want to review An Introduction to Biblical Aramaic.